← Don’t forget to pre-order your yearbook! 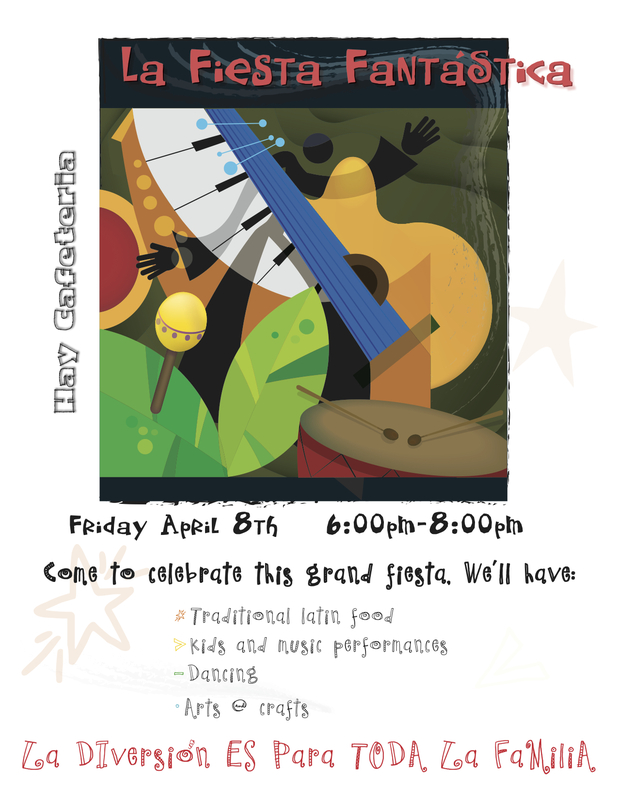 It’s almost time for the Fiesta Fantástica!! A fun and lively all school party to celebrate the Spanish program. Posted on March 28, 2011 by micheledc | Comments Off on It’s almost time for the Fiesta Fantástica!! A fun and lively all school party to celebrate the Spanish program. It’s just a week and a half away! Come join us to eat, sing, dance and to catch up with other families. It is on Friday April 8th at 6:00-8:00. We’ll have a taco bar, singing, dancing and a zumba lesson. The kids love this party and the adults have lots of time to catch up. Thanks, and see you at Fiesta! This entry was posted in Spanish Program. Bookmark the permalink.